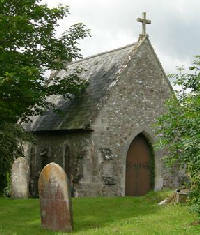 Amenities, Colyton Parish Council, Colyton, Devon. Annual Parish Inspection of Amenities: The Parish Council conducts an annual inspection of the amenities, but please report to the Clerk any damage you may have seen. Allotments: The parish has a large allotment area on Mount Hill. There is usually a waiting list for plots but contact the Clerk to be added to the list. Most allotment holders are members of the Allotments Association, contact the chairman Jason Goss for more information Tel: 01297 552 674. Community Woodland: This small steep woodland below the Picnic Site was established in 1994. To commemorate the Millennium, The Colyton and District Garden Society planted six apple trees of varieties connected with Devon (eg 'Sops in Wine' and 'Tom Putt'. The society also planted other trees, especially whitebeam. Recent work by BTVC recovered some parts which had become overgrown. Some original trees have grown into fine specimens and areas are now reserved to encourage butterflies. Doctor's Stone: A memorial stone seat just along the Hillhead road near the Picnic Site. A good resting place to recover from a walk up Hillhead from Colyton. Gardens: The Parish Council maintains four small gardens in Colyton for the enjoyment of residents. A part time gardener is employed but volunteer help in keeping the gardens tidy and free of weeds is always welcome – please contact the Town Clerk. 1. St. Andrew’s: A small secluded garden behind the Gerrard Arms provides a good view of the church. 2. Bridge House Garden: over the Umborne Bridge beside the River Coly this garden has a small summerhouse, a lovely sunny spot to rest and feed the ducks. To commemorate the Queen's Golden Jubilee, this was tidied and planted up by the Colyton and District Garden Society with trees, shrubs and plants in shades of yellow and Gold. 3. Mr Baker’s Garden: Below the Colcombe Castle opposite the public car park this small garden is dedicated to the memory of Mr Baker who owned the local tannery. 4. Govers Meadow Garden: Where Govers Meadow joins Dolphin Street this small garden is just the place to rest after shopping in the town. This garden was given to the parish by the family of the late Mr Gover. 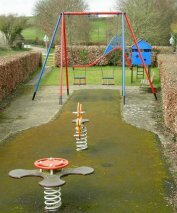 Playground: A playground for use by young children; maintained by the Parish Council. MUGA: A Multi Use Games Area Surface was laid by EDDC in 2009. Final plans for the development of the area are to be agreed between the Playing Fields Committee, the Reece Strawbridge Centre and the Council. Some funding has been promised by the Colyton Carnival Committee and other funds are being sought from EDDC (S106 funds). Tennis Courts: Two courts are available to hire by the hour. Keys held at the Premier shop, Market Place. 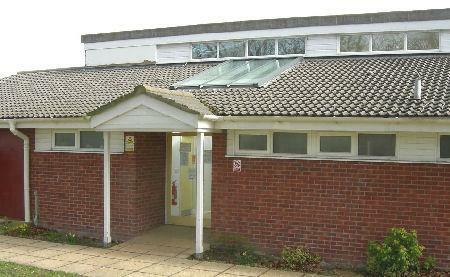 The youth centre located on the ground floor also has a music room, a computer room, an open plan kitchen and a large activities hall. Road Green: A playground for younger children.